FOAMCO, Inc is a New York-based contractor with over a decade of experience in the home improvement industry. We are the Greater Hudson Valley area’s leading spray foam insulation company. With headquarters in Bullville, New York, we focus on providing homeowners, builders and remodelers, and architects, with a cost-effective insulation solution that provides superior performance, energy savings, and comfort in New York, New Jersey, Pennsylvania and Connecticut. What sets us apart from other local contractors is our commitment to not only providing quality products and the best service, but also to remaining true to our founding values of providing honesty and integrity in everything we do. Dave Crawford, owner of FOAMCO, Inc, strives to provide customers with fair estimates and the best advice he has to offer concerning upgrading their insulation. 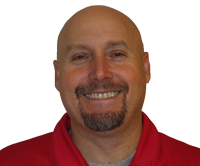 In addition to being an insulation expert, Dave is also an avid golfer, serious bowler and hunting enthusiast. Dave has lived and worked in Orange County his entire life and still appreciates the tranquility and beauty of the area. While he's sad to see the farms disappearing, he is happy to see the area continue to grow. Why Insulate with Spray Foam? Make sure you get the most out of your insulation upgrade. Don’t trust just any contractor to get the job done right. Get the peace of mind that comes along with knowing that you are dealing with an experienced company who uses only the highest-quality materials installed by a certified, experienced crew. When you have spray foam insulation installed by the experts at FOAMCO, Inc, you can expect the best workmanship and the longest lasting results.